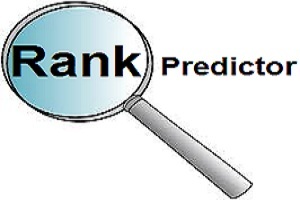 JEE Main Rank Predictor 2019 enable the candidates to predict their rank in advance. The JEE Main exam is counted as one of the most famous examinations all around the country. At present, engineering courses are in trend among the students, that’s why a large number of students appear for this exam. Through this exam, candidates can get admissions in reputed engineering colleges of the country. Those students who have appeared for the JEE Main exam, must be searching for their rank list. In this article, we are providing information about JEE Main 2019 Rank Predictor. JEE Main 2019 (April Exam) has been conducted successfully. Candidate can use our rank predictor tool to check their estimated rank. We are facilitating the candidates with a tool called “JEE Main rank predictor 2019”. With the assistance of this tool, students can predict their rank before the official announcement. The JEE Main official rank in the month of February 2019 (Jan Exam) & May 2019 (April Exam). By calculating rank through this tool, candidates can only take an estimate idea that what rank they will going to score. Students can calulate their scores with the help of JEE Main 2019 answer key. Students note down that the final rank list will be declared by NTA. Till the year 2016, the rank calculation was done using a normalization score in which 60% marks weightage was given to JEE Main score and 40% weightage to 12th percentile. From the year 2017, candidate marks in JEE Main 2017 was considered in the rank calculation. JEE Main 2019 All India rank will be purely calculated on the basis of JEE Main 2019 result. The rank predictor will open in a new page. Now, fill the required details like Name, Email, Mobile Number, State and Expected JEE Main score. Click on the “Check Now” button. The expected JEE Main Rank will be displayed on the screen. The JEE Main rank list will be prepared as per the marks scored by the candidates in JEE Main 2019 exam. The complete weightage to JEE Main 2019 scores will be provided to determine JEE Main 2019 both attempts. Best of two percentile will be considered for ranking. On the basis of the merit list candidates will be called for the counselling procedure. Candidates may tally the JEE Main 2019 score with the table given below to check your expected rank for the JEE Main 2019. If you have any queries regarding JEE Main Rank Predictor 2019, you can drop your comment below in the comment box. You have to score well in both exams. SIR I AM EXPECTING 97% IN INTER AND 74 IN JEE MAIN. I AM BELONGS TO OC. WILL I GET ADMISSION INTO ANY NIT. I have 72% in 12th MH-State Board.. and expecting 220 marks in jee mains paper 2 (architecture)… I am in OBC … Are there some possiblites to get VNIT or other NITs for architecture …??? sir, i am expecting 90 %(overall ) in cbse board and 150 in jee main. can i get seat in iiit, hydrabad or mechanical branch in vnit, nagpur / coep pune? check your rank in check tool. you can check the rank, through our rank predictor tool. Sir, I expect that I will get nearly 90 marks in jee mains 2016 and my cbse board percent is 93.8%, I belongs to obc category. Can I get admission in NIT allahabad or any of the NITS? you can check your rank from the Rank Predictor Tool mentioned above. I will get 30marks in jee and have 99percentile in boards ,what will be my expected rank. I will score 86-88% in board and 105-110 marks in mains I am general PD candidate will I be able to clear mains. You can find your rank with the help of JEE Main rank predictor 2016. RESPECTED SIR, I GAVE Y 12 CLASS BOARDS THIS YEAR AND APPEARED FOR JEE MAIN 2016. EXPECTED PERCENTAGE IS 93-96. I AM A PWD STUDENT. SON CAN U PLEASE TELL ME HOW MUCH MARKS I NEE TO GET FOR BEING ELIGIBLE TO GIVE JEE ADVANCE. I got 150 in jee2016 87% in maharashtra boards .which nit ? my daughter expects 126 in jee mains ang above 98 percent .can she get chance in nit? At this point it is quite difficult to tell, lets see what the cutoff goes this year. I am getting 90-100 marks in JEE mains and expecting 96% in ISC exams. What will be my expected rank? check your rank through Rank tool given under this article. respected sir,my jee main 2016 marks is 143,and 89% in CBSE board,what rank should I expect sir?? i expect 155 in jee main 2016.i got 100% in 12 std from kerala state board .will i get admissions in iist /iisc ? what rank will i get? My JEE main marks is nearly 108, and my predicted board percentage is 90-93%. What rank do i get ? And which NIT can i get ? check your rank by given tool in article. You have to score above the cut-off for admissions. Sir..i have got 83% in gujrat board …n …98(obc) in jee …can I get admission in nit in Delhi city..
You have to score well in the exam for admissions. I got 93% in Cbse..expecting 70-80 marks in main 2016..
Do I have a chance for nit? I am getting 180 in jee main 2016 and expecting 95 percent in boards. Can i get CS at DTU ? Sir I have 96.6% in 12 mp board and 111 in jee mains .can I get cs in any nit. I am getting 60 marks in JEE 2016 and I will be getting 88% IN boards … Can I expect admission to any of the NIT’S ??? I have got 96.4% in 12CBSE boards exams and 144 marks in jee mains. What is my all India jee rank in o.b.c. and general. Sir there will be any sports quota For mains…where I have national which was connducted by MHRD…..
Sir. I have passed 12th board with 99.3 % mark and i expect to get 200-210 marks in JEE main 2016.. will i get in NIT for computer science course..?? you may have a chance. Sir i have got 90.04%cbse…….i expect thay i will score about 160-170marks in jee main 2016……what will my expected rank ??? Sir I got 100 % in Kerala board exam I expect about 240 marks in Jee main 2016 what wilbe my rank? You should score above the cut-off marks. Sir i am execting 75% in boards cbse and 150 in jee mains …..
You should have to score above the cut-off marks to get good colleges. My son is expected to get 950/1000 in intermediate exam of Andhra Pradesh and 200 marks in Jee Mains. what may be the expected rank? If I get 100 marks in 2017JEE mains can I get admission in NITs. I belongs to OC general category. You may go through our article, we have mentioned the details. You have to score more than the cut-off marks to get admission in NITs or IIITs. You can check the cut-off from here JEE Main Cut-Off 2016. We cant predict the cut-off marks before the result announcement. Only 12th marks will be considered for weightage. Rsir, I want to know the normalised marks alongwith rank for admission to IIT for ST Candidates. You can fill the contact form given in our article to get the latest updates about this exam. Word hard, prepare well, practice previous year question paper then definitely you will score good marks. Can you send me details for my daughter with 86%in CBSE 2015……?How much marks is required for top rank.? For knowing the rank, you have to send your expected JEE Main score. JEE Main 2016 application form will be released in the month of November, 2015. You can get the complete details about JEE Main 2016 from this link. Sir ! My son “Vikash” passed 12th with 65% marks from Jharkhand board (JAC) in 2015.Can he elligible to appear in JEE ADVANCED 2016. To Appear the JEE Advanced, the candidates must have passed the JEE Main examination of same and previous year and scored under top 150000 rank in all categories. Sir ! My 12th marks is 65.2%(Jharkhand board 2015) .How many marks will be require in JEE MAIN 2016 for admissin in NIT JAMSHEDPUR (CSE BRANCH)? The cut-off marks for the year 2016 has not been released yet. My 12th mark’s is 61.8℅ (jkbose 2016). How many mark’s to require to JEE MAINS 2017 for admission in any NIT branch. Cut off marks has not released yet. Sir! I got 155 marks in jee mains and iam qualified uk board with 83.2% . What is my expecting jee rank from these marks?? Respected Sir I want to tell that if I get about 80-100 score in jee mains 2016.Can I get admission in NIT Srinagar.I belongs to S.T category. Your board marks will also taken in this calculation, so much percentage you expect in your class 12th ?? You may predict colleges from here JEE Main College Predictor 2016.